Mayo and Mehndi Dresses 2018, During last decades, there is no doubt that Pakistan Fashion Industry is growing rapidly. In this era, Fashion Industry introduced New Latest Fashion. 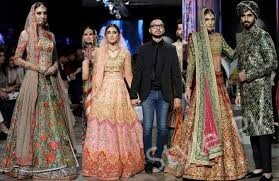 Pakistani Asian Designers got fame all over the world. Their collection liked by America, Dubai, UAE, India and many other countries. In Pakistan one of the most inspirational weeding event is Mayo and Mehndi or Hina. Some kind of games played and many dance parties arranged for this event. Both families, boys and girls designs the special theme of dresses in the view of Mehndi Ceremony. 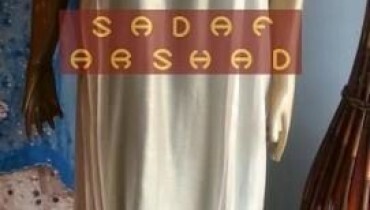 Tilla and Zari work on Shirts and Sharah is one of the most common Fashion now a days. Such Embroidery look beautiful in lighting. Yellow is the most favorite at Mayo Ceremony. 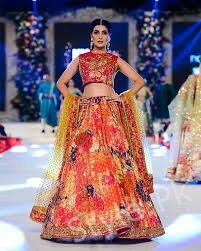 In 2017 Yellow remain favorite color for Mayo and Mehndi Dresses 2018 in Pakistan. Now 2018 purple dupata color combination is in. Gota Kanari lace work on red color is most attractive style now a day. This is the wonderful Pakistani Mehndi Dress design and style. Wide full bottom frock with self printed patterns perfect for young girls. Dual colors frock and cloth with decorated Sharara is now in Fashion for Mayo and Mehndi Dresses 2018. This looks ethnic. Most perfect ethnic wear today is white Embroidery on net. The Decent Formal Style gives the stunned look to girls. A fresh wearing style is white shirt with Golden Embroidery Sharara. Now in summer for Mayo and Mehndi Dresses 2018 and Mayo events that outfits are highly demanded. Red and white is a nice color contrast. Niddle work neat karhai makes outfit more graceful. Totally silver Gota kinari work lehnga is super and innovative. which every girls want to wear. This is the Trendiest Fashion this year. There are some Fashion Designers who presents their collection…. Asim Jofa is well known Fashion Designer of Pakistan. He started his career from Jewelry Designing. He gets Fashion Designer Awards at his mind boggling collections. 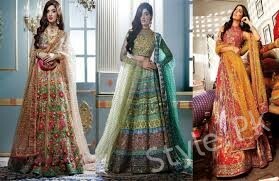 Some Asim Jofa Mehndi Dresses are below. A new Jamawar Dresses by Asim Jofa is now on outlets. 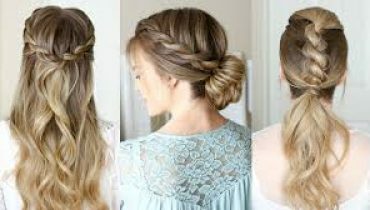 This style is perfect for Brides at Mehndi and Mayo Events. A Beautiful Traditional Frock for women is now in stores. Tunic collection yellow color outlet is most valuable in all over the Pakistan. Girls like to wear that style outfits on Mayo and Henna Events. Asim Jofa, Luxury Embroidered Chiffon Collection has been launched recently. Silk wear of Asim Jofa in PFDC, Fashion Week got high values by viewers recently. Luxury Embroidered Chiffon Collection, is now available at stores. The embroidery Lehnga, Shararh is specially designed for Mehndi brides by the Pakistani Designer. Asim Jofa Frock Design is one of the most Trendy Dress. The dress looks awesome with desi style at Mehndi and Mayo Events. Asim Jofa black and yellow, Kurti Style Dress is perfect for Mayo and Mehndi Dresses 2018 and Henna Events. This Casual Style Dress keeps the multi shades and some embroidery works on it. Depak Perwani is most Pret Brand in Pakistan. He is labeled as mature and Modern Dress Designer. The brand known as world’s 6th Innovation Fashion Industry. Every year the new variety of Bridal Wear launch. Industry focuses on classical and embroidery outfits. According to New Fashion Trend. Lehnga contains flower embroidery and wide gota patti is recently introduced by this Designer. Golden and black gota work on red shirt and golden Sharara. Style is newly released by Deepak Perwani. It’s new is variety is perfect for the Mehndi occasion. Maxi style lehnga choli with black and golden is good match for girls. Red and Golden Lehnga choli with self print inclusive all the trend just in one dress. That’s a good combination now a days. Nida Azwer launched her fashion brand in 2005 under the label of her name. She has won many awards from PFDC and Lux Style Award. The Designer is promoting the cultural, traditional embroidery work in her collection. Every product under the label of Nida Azwer is hand made and good quality of fabric. Nida Azwer is unique and most famous in tailoring Style in Pakistan. Let’s see her recent Mehndi Dresses Collection. Rilli work is a new style which is introduce by Nida. Good Quality of Fabric contains the neat rilli work perfect for Mehndi Events. Nomi Ansair is a most Prominent Figure in Pakistan Fashion Industry. He introduced vibrant pret Designs. Formal, Funky, Ethic touch and wide range of Bridal and Wedding Dresses. 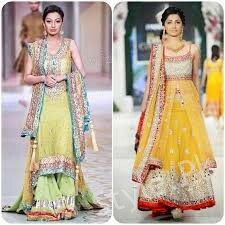 Nomi Ansari Latest Bridal Collection is in below for Weddings Ceremonies. Nomi Ansari Gemstone Collection is most Lavish Bridal Wear. That’s Mehndi Dresses are eye catching holding the needs for Wedding Fashion. Girls would look like stunning after wearing such dresses. Sana Safinaz Fashion Designer always works on New Fashion Trend in Pakistan. It’s a big name in Sumptuous Dresses. Normally the Sana Safinaz introduce on pret, lawn, bridal and wedding collection. Shocking pink is a rising trend at Mayo and Mehndi events. You’ll see shocking pink in Sana Safinaz collection. Which are available in market.